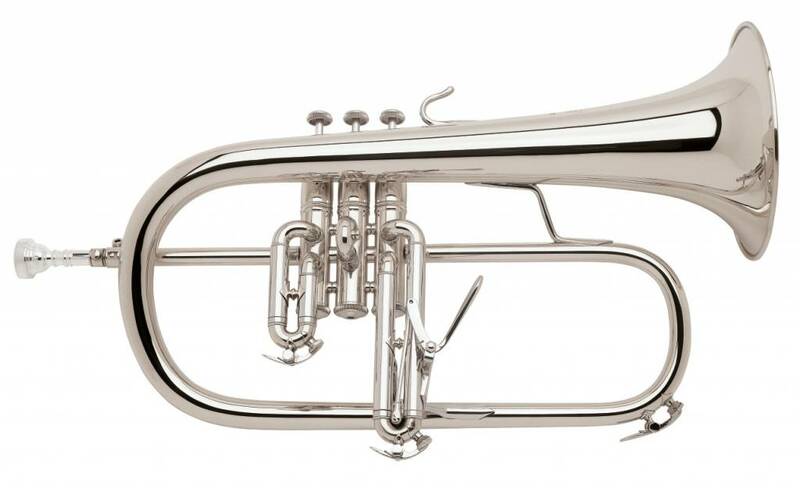 The Bach 183S Stradivarius flugelhorn is famous for it's signature Bach sound. The .401" bore promotes an ease of response while the one-piece hand-hammered professional bell produces a warm sound with full projection. Vincent Bach combined his unique talents as both a musician and an engineer to create brass instruments of unequalled tonal quality. Often copied but never duplicated, Bach Stradivarius instruments today remain the sound choice of artists worldwide. 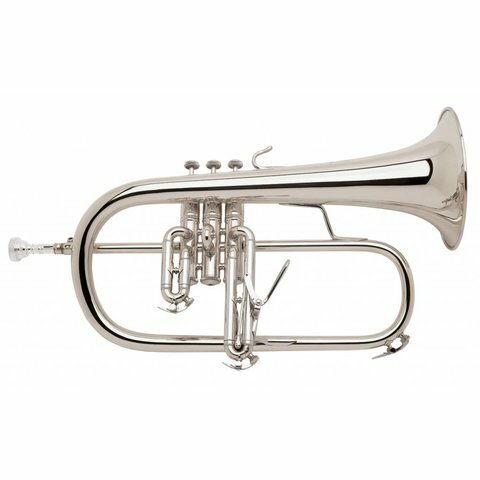 The Bach 183S Stradivarius flugelhorn is famous for it's signature Bach sound. The .401" bore promotes an ease of response while the one-piece hand-hammered professional bell produces a warm sound with full projection. The silver-plate finish provides a controlled brilliance to the overall sound. The 3rd valve trigger allows for quick and accurate adjustments. The 183S flugelhorn is a well rounded instrument at home in multiple musical settings. Bach "Stradivarius" - key of Bb, .401" small bore, one-piece hand-hammered yellow brass bell, tunable mouthpipe, 3rd valve slide trigger, Monel pistons, silver-plate finish, Bach 7C mouthpiece, 1852G woodshell double flugelhorn/trumpet case.